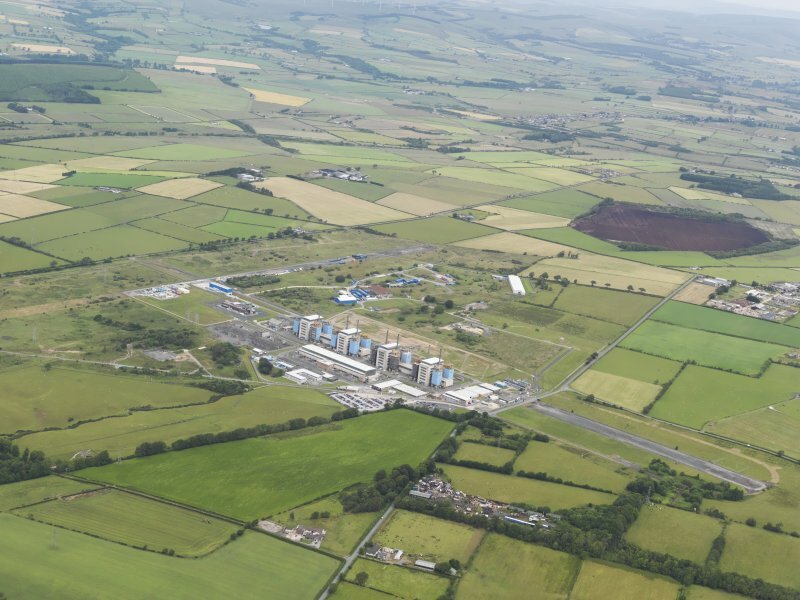 General oblique aerial view of Chapel Cross nuclear power station and the remains of Annan airfield, taken from the WSW. 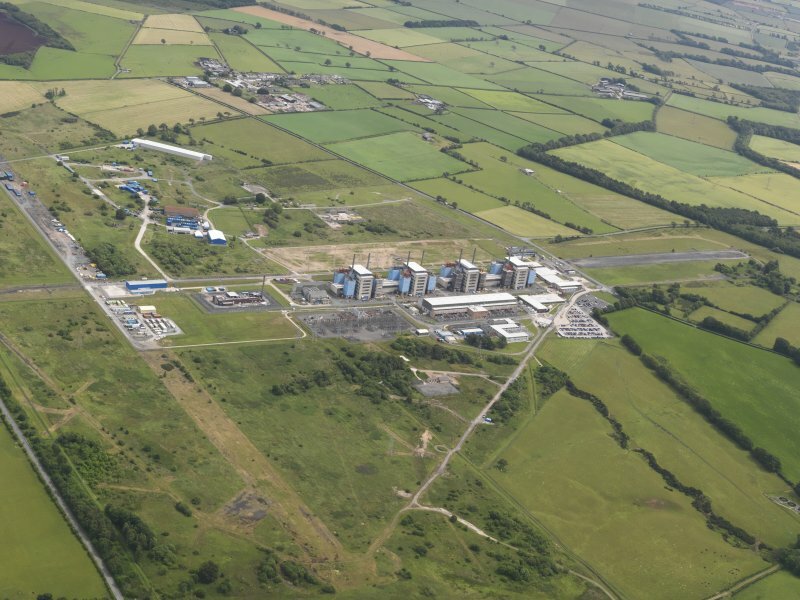 General oblique aerial view of Chapel Cross nuclear power station and the remains of Annan airfield, taken from the S.
The technical site for Annan Airfield is situated in the NE sector of the runways. At least two T1 type aircraft hangars are extant, though three were still in existance in 1994 as they can be seen on oblique aerial photographs of that date (RCAHMSAP 1994). The current OS 1:2500 scale digital map only shows two. Many other buildings and huts used for support services were located to the E and SE of the aircraft hangars including eight emergency air-raid shelters and several emergency water tanks. The area is visible on RAF WW II vertical air photographs (FNO 158, 6.29-6.31 and 6.38-6.39, flown 26 September 1942) and on postwar images (106G/SCOT/UK 40, 3066-3067, flown 4 May 1946), both sorties showing the three hangars and surrounding support buildings.